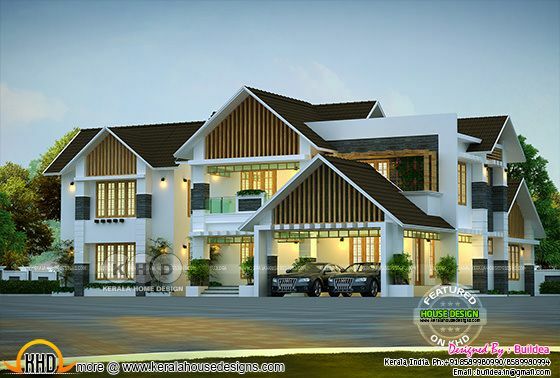 5 bedroom modern sloping roof style house in an area of 5005 Square Feet (120 Square Meter) (143 Square Yards). Design provided by Buildea, Kollam, Kerala. Ground floor Area : 3260 sq.ft. First floor Area : 1745 sq.ft. Total Area : 5005 sq.ft. 0 comments on "Modern sloping roof luxury residence"